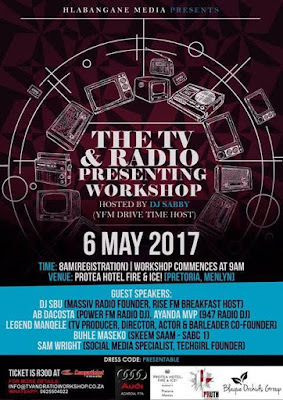 YFM Drive-Time Host, TV Personality and Entrepreneur – DJ Sabby hosts yet another TV and Radio Presenting Workshop in Pretoria at the Protea Hotel Fire & Ice on the 6th May 2017. DJ Sabby’s workshop initiative started 5 years ago with the aim of developing the youth who aspire to make it in the Radio and Television industry. Since its inception, this workshop platform has been hosted across the country in a variety of locations however, DJ Sabby believes that it is time to head back to Durban. Radio Personalities like DJ Sabby are the voice of a radio station’s programme, whether they work in speech-based or music Radio. They create the tone and style of radio output and establish a relationship with listeners. A Radio Personality’s specific duties vary depending on the programme or station. They may present live or recorded shows, scripted and unscripted. 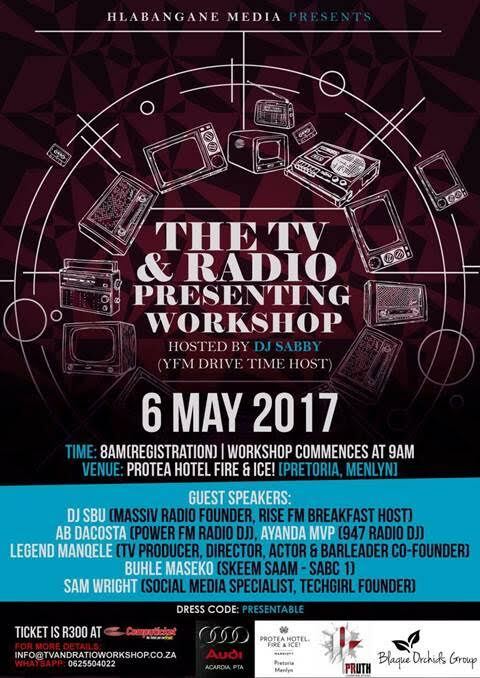 Either way, attending the TV and Radio Workshop allows the public to gain first-hand knowledge and advice on how to be just like ‘The Best Thing Ever’, also known as DJ Sabby. DJ Sabby said that the Television and Radio Presenting Workshop has been around for a great 5 years and this year will see it change as it heads towards the desired goal of being a seminar. "Traditional broadcasting still dominates in the South African landscape but the face of Radio is changing, thanks to online media; which is offering consumers more options and talent more job opportunities. My line-up features talent that is breaking boundaries and constantly striving to showcase that anything is possible with the right mind-set. Tickets are available at Computicket for R300 so do yourself a favour and invest in yourself.